We have recently reviewed some of the best laptops for writers and bloggers, and while we rarely recommend Chromebooks in our lists, the truth is that a Chromebook can actually be a great companion if you only need a mobile device for typing and taking notes and you don’t need to install any specific programs. Not only are Chromebooks affordable, but some of them also come with great keyboards, which make them perfect for writers. But before proceeding to our list of the best Chromebooks for writers, let’s first see why and when you should consider a Chromebook, and also list some of the differences between Chromebooks and regular laptops. Unlike traditional laptops that run Windows or Mac OS, Chromebooks run Google’s Chrome OS. These machines are mainly designed to be connected to the internet, with most apps and documents staying in the cloud. 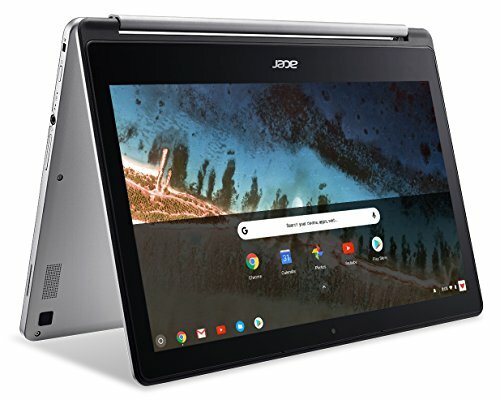 Unlike traditional laptops, Chromebooks are not designed to handle heavy tasks and do not support many programs ( only a few Chromebooks support installing Android Apps as of 2018). 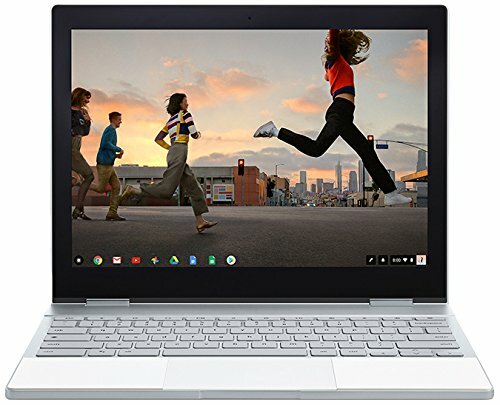 Chromebooks on the other hand are very affordable, with prices starting as low as 150$. They are also available in different screen formats ranging from 11 to 15 inches. Because of their limits in terms of software and hardware, Chromebooks are very secure machines, which explains why they are popular in schools and as a laptop for kids. For writers and bloggers who like to work remotely, a Chromebook can be perfect fit. Chromebooks are fast, have an amazing battery life, and a lot of them come with great keyboards. On the other hand, I’ve seen a lot of people bash Chromebooks and call them useless…etc, while Chromebooks were not meant for them in the first place. If you spend most of your time online only use your laptop for emails, browsing, and typing, then a Chromebook will be just fine for what you want to do. On the other hand, if you need to use a specific windows program, or if you are used to a windows computer, then there are better options for you. Security Windows has long been a known target for viruses. 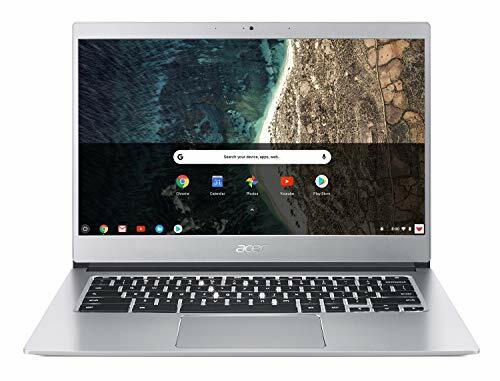 The new Acer Chromebook 514 is a device that will offer lots of value for your money, and is simply one of the best Chromebooks under 400 $ you can find. The Chromebook 514 comes with an Intel Celeron N3350 Dual-Core processor , 4GB of RAM, and a 32GB eMMC storage. In terms of performance, this Chromebook is very snappy and responsive. And while we’d love to have a bigger storage capacity, it should be noted that Chromebooks come with 100GB of Google Drive space. There is also a version with 64GB storage. But there are other reasons why the Acer 514 is first on our list: such as the design, its great screen, and its great keyboard. 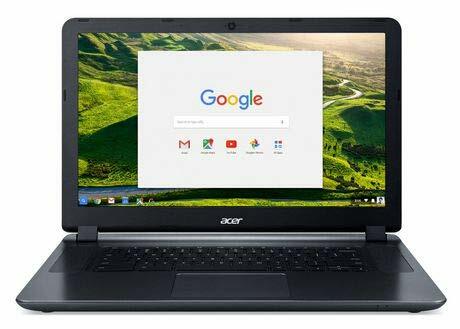 Unlike many cheaper Chromebooks out there, the Acer 514 comes in a stylish and durable aluminum chassis. And even if it’s a 14 inch device, the footprint remains contained thanks to narrow bezels around the screen. The Keyboard is also one of the reasons why you’d choose this Chromebook over a similarly priced laptop. The typing experience is very comfortable, and the tactile feedback is very good. The keyboard is also backlit. The Acer R13 is a convertible that has a lot of value to offer for your money. The R13 is a well built mid range Chromebook that has a touch of class, thanks to the stylish aluminum lid. The rest of the device is made out of plastic, but has a finish that makes it look like metal. The design is very versatile and with the 360-degree hinge, the R13 can be used as tablet, or in tent mode. The R13 sports a Full HD 13 inch touch screen, which produces sharp and pleasing images thanks to the IPS panel. There are two things that make the Acer R13 a good Chromebook for writers: the amazing keyboard and touchpad, and the killer battery life. Typing on the R13 is very pleasant, the Keys have a good depth and feedback, and they are also very quiet. Battery life is also amazing, and you can easily expect 10 hours of runtime depending on your use. Also note that the Acer R13 is able to download and install Android apps. The Google Pixelbook: The most premium Chromebook to date! When it comes to high end chromebooks, the Pixelbook is on top. This 2 in 1 laptop comes in a beautiful brushed aluminum case that screams premium build quality. In terms of specs, we have a 7th generation i7 processor, 16GB of RAM, and a 512GB SSD storage. The Google Pixelbook also features one of the best laptops keyboards ever, the tactile feedback and the sound the keys make when you click them makes this Chromebook a perfect choice if you’re looking for a comfortable keyboard for extended use. The Pixelbook actually has one of the best keyboards ever, and it’s even better than a lot of keyboards found on more expensive windows laptops and macs. 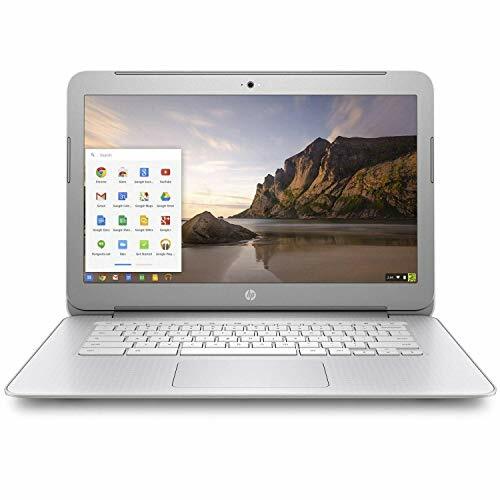 If you think that the R13 is too expensive, or if you are on a budget, then HP Chromebook 14 is here to save your wallet. In terms of specs, the HP Chromebook 14 comes with an Intel Dual Core Celeron N2840 processor, 4GB of RAM, and 16GB of flash storage. For internet use and typing only, this is more than enough. It also has a decent amount of ports for its price: 1 USB 3.0 port, 2 USB 2.0 ports, HDMI, and a card reader. The keyboard on the HP Chromebook 14 is surprisingly good for such a cheap device. The keys are big, and the tactile feedback is decent. And the fact that the battery life can last more than 8 hours makes the HP Chromebook 14 a perfect choice for writers, college students and kids. Unfortunately, cheap laptops and Chromebooks are always associated with bad and stiff keyboards. And for writers who only need a laptop with a good keyboard to type on, spending more money on a higher end laptop just to have a better keyboard can be unreasonable. However, there are a few options out there, like the Acer Chromebook 15. 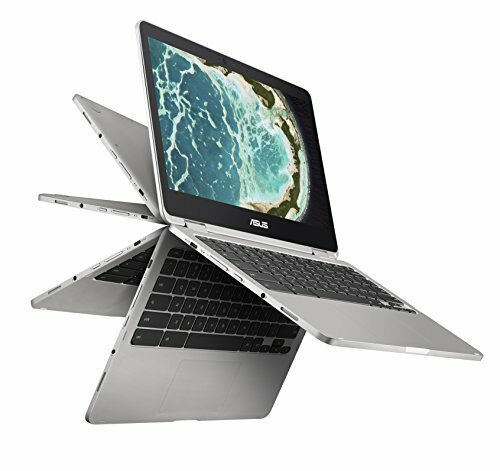 This chromebook is a great choice for writers looking for a budget friendly 15 inch laptop for typing. In terms of specs, it comes with an Intel Celeron Processor N3060 @ 1.60GHz (2 Core, 2M Cache, up to 2.48 GHz), 4GB of RAM, and a 16GB eMMC storage. Google docs is also pre installed on this laptop. The keyboard is not backlit. Click here, if you’re looking for a Chromebook with a backlit keyboard. If you search for the best chromebook for writers, you’ll certainly hear the praise and the great reviews the Asus C302CA’s keyboard is getting. For writers and bloggers on the go, the Asus C302CA is a good deal. The device comes in a beautiful soft touch aluminum metal body, and the device is extremely portable. In terms of hardware, we have an Intel Core processor, 4GB RAM, and 64GB flash storage. For a Chromebook, this configuration is more than sufficient. The Asus C302 is capable of running Android apps right out of the box. The backlit keyboard provides 1.4mm of key travel, and typing takes just the right amount of pressure. Battery is also great, with the manufacturer claiming up to 10 hours, and 8 hours of use in real world use. Previous articleBest laptops for typing: 5 Recommended laptops for writers!